What are the best buys in compact sports cars? The Car Guide team of journalists established its Best Buys in the sport compact cars category that two hot hatches are the best. The Subaru WRX and WRX STI performance sedans take third. Can Subaru continue to compete with a sedan-only body style? The Volkswagen Golf GTI and hotter Golf R hatches take the title for Best Buys in the compact sports car category. 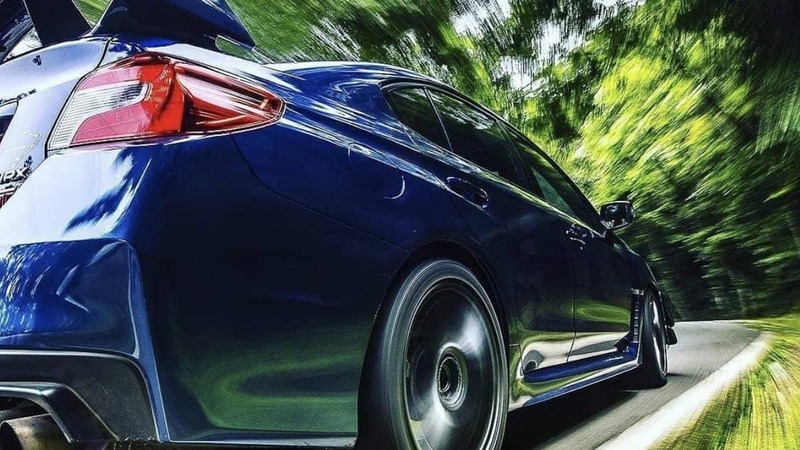 The Honda Civic Si and mighty Civic Type R hot hatchbacks take second place, and the sport-tuned 2019 Subaru WRX and performance-tuned WRX STI sedans come in third. The showdown between the VW Golf R and Honda Type R is not so much about performance, but more about design. Sedans are losing their appeal and the aging STI could use a 5-Door Hatch WRX/STI body style. Subaru performance fans have been asking for its return since the Japanese automaker ditched the model in 2015. The WRX/STI is getting long in the tooth and the next-generation model isn’t expected to make it’s reveal until sometime next year. A year ago, Torque News reported Mamoru Ishii, the head of Subaru’s design department, in an interview at the Geneva Motor Show said, “We don’t have plans to bring back a WRX hatch to the market.” We think this would be a big mistake. Performance enthusiasts want Subaru Corp to bring back the 5-Door hatch for its greater utility and cargo-carrying ability. It does have its place in the WRX STI lineup and gives fans another option as sedans become less popular with a new generation of buyers. Subaru also needs to catch up with the Honda Civic Type R and Volkswagen Golf R in terms of materials and design inside and needs improvements to the WRX/STI interior. A new-generation 5-Door hatch STI could compete with the VW and Honda hot hatches in the compact sports car segment but will need significant upgrades outside and inside to do it. You are sooo right Denis: to compete with any others, Subaru needs now a real exterior/interior with design/quality and under the hood, a serious powerful and reliable engine, even if hybrid. I still believe Subaru can do it… if they want do it. I bought a GTI in 2008, because I loved the sound of the R32 that I couldn't afford. I was convinced to try the DSG transmission also, ha! Then I bought a manual 2015 WRX and I was so happy until I payed attention to the sound of the STI. I wanted to mod it to get the rumble, when I realized that I couldn't I bought myself an STI. Enthusiasts are not always like testers. The people who are evaluating this cars are very unlikely going to be real buyers in the future. Old sports cars are getting more love this years. There is not much craziness about new sports cars of any kind. Kids are placing hopes for phones more than cars. The big mistake of Subaru with the STI was not to address the reliability issue they had with the STI for several years. It's a sports car that transmits everything a sports car should, but owners know that Subaru turned around and hide the issue below the carpet instead of addressing it in time. I love my STI, but I'm always wondering: "Should I put an Air-oil separator?, Should I need to replace the oil pump for a better one?" I Would never replace the fun that an STI returns with just the SPT exhaust and everything else standard for a Golf R or a Civic Type-R. Oddly enough nor for an automatic STI, that dosen't produce the mechanical sensations the current one does. By that I mean not just the sound and the linearity of the development of the power, but also the steering experience. I would love an STI that would have a manual transmission, an engine that produces if not the rumble, an even better sound, hydraulic steering, LSDs and if all that is there, I would want if possible the change to cruise highways if desired, with less vibrations in the interior of the car. I would envy a guy who can have a who has the basic set that I mentioned MT, rumble, Hydraulic, LSDs, etc. and also more reliability. Someone who would be able to drive wide open throttle for long periods of time without risking the engine would make me envious, but nor a Golf R, not a Type-R would make me jealous. If I give up on mechanical feeling, then I would go Tesla. Everyone defends certain cars by saying it's the "mechanical feel" and blah blah I get it I owned 4 Lancer Evo's since 2003 so I get it. The fact is the Golf R is "worth" the money while the STI list any longer. I'm not saying it's a bad car but you get into a $42k STI sand a $42k Golf R and it's like going from a Toyota Corolla to a Lexus. The STi is cheaper than cheap on the inside and performance? The Golf will keep up with the STI sand when equipped with the DSG most likely best it with regular people driving and not a race car driver. I'm a big fan of Rally Cars and I love "raw" and "mechanical feel" but I liked it better when the STI was $32k not $42k for basically the same car. The people now a days don't want to be ripped off any longer and demand a better STI. Either that or drop the dang price!! When the price is $42,000, the buyers have way more options; including 250 mile range EVs. Subaru Japan design and marketing people are about two car generations behind the times in delivering to America what the buyers want. They better wake up or watch their sales slide down hill. Not everybody wants a large SUV or an under-powered Crosstrek. Subaru's PHEV is the laughing stock of that class of vehicles. Regarding the engine problems: simply no excuse is acceptable. We have driven Subarus since 1987. We have had three of them that all went over 300,000 miles. There is not way we will have a 2014 thru 2018 - the reliability just ain't there. And that is why, in the past, we bought Subaru. Absolutely its about performance. This car hasnt had any gains in close to 2 decades. It needs to offer a hatch and sedan version with power and torque near 400. I had a 16 sti limited lets face it at almost 45k i couldve got american muscle that would kill thia car. The new supra is coming and its a true sports car, this car has always gave you the in between and if it gives it the juice and convienience of sedan/hatchy itll be a winner. If it targets the played out 300 hp market it will be blah at best. You do not care about Subaru, don;t you, Dennis? Well I DO care about Subaru because I do not care about the weak horsepower, the expensive price or the same bland ugly styling, I care about Subaru because it is the best looking cars that can do EVERYTHING I want! Just look at Honda, and look at me.